This week we have a hat featuring HiKoo’s® Kenzie! Crosshatch, designed by Kristen Hanley Cardoza. 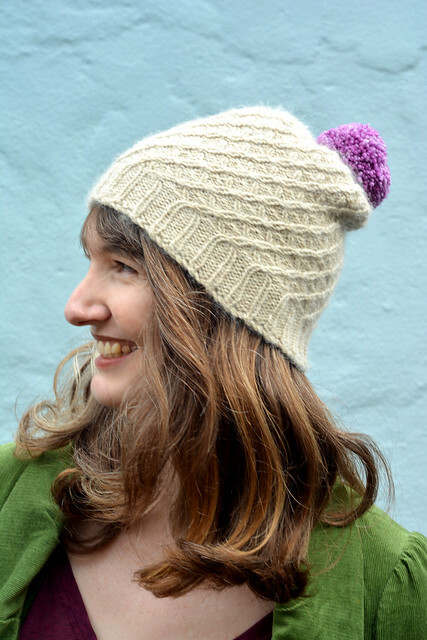 It’s an easy-to-knit, easy-to-wear hat that shows off an unusual to work, but easy to remember, all-over cable pattern. 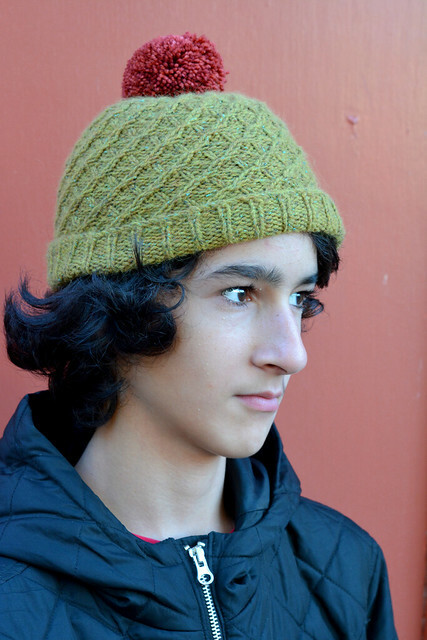 Crosshatch Hat knit in HiKoo® Kenzie. This week, in spirit of the nice weather that some of us are starting to see, I bring you the Trefoil by the Lake tank knit in HiKoo’s® CoBaSi. Nancy Reick uses a few non-traditional methods for a seamless look in this light weight, top-down garment with a beautiful lace edging. The time has come to cast-on your summer garments. I’m back with another stunning pattern. HiKoo® CoBaSi Plus is a worsted weight beauty made of a Cotton, Bamboo, and Silk blend. Faina Goberstein shows its versatility in this playful, top-down skirt.